If your vehicle is in need of towing, we offer full service towing through our partner, Nelson's Wrecker Service, and would be more than happy to schedule a pickup of your car or truck. If you have any questions regarding any of our auto repair services, please do not hesitate to contact us at (616) 874-9050. We are here to help! 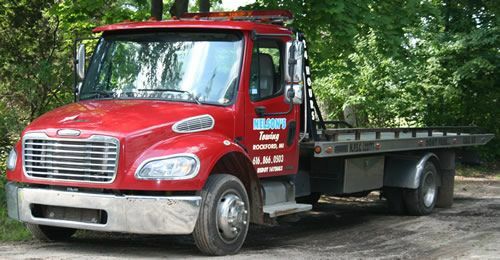 If you need a tow, and it is after our regular business hours, you can call Nelson’s Wrecker Service 24 hour service number: (616) 866-0503.